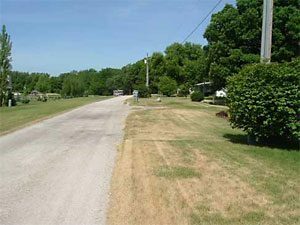 In Iowa, there are currently no uniform design standards for rural and suburban subdivision development roadways. Without uniform design standards, many counties are unable to provide adequate guidance for public facilities, particularly roadways, to be constructed as part of a rural subdivision development. If a developer is not required to install appropriate public improvements or does not do so properly, significant liability and maintenance expenses can be expected, along with the potential for major project costs to correct the situation. Not having uniform design standards for rural and suburban subdivision development improvements in Iowa creates situations where there is potential for inconsistency and confusion. Differences in the way development standards are applied also create incentives or disincentives for developers to initiate subdivision platting in a particular county. With the wide range of standards or lack of standards for local roads in development areas, it is critical that some level of uniformity is created to address equity in development across jurisdictional lines. The standards must be effective in addressing the problem, but they must not be so excessive as to curtail development activities within a local jurisdiction. In order to address the concerns, cities and counties have to work together to identify where growth is going to be focused. Within that long-term growth area, the roadways should be constructed to urban standards to provide an easier transition to traditional urban facilities as the area is developed. Developments outside of the designated growth area should utilize a rural cross section since it is less likely to have concentrated urban development. The developers should be required to develop roadways that are designed for a minimum life of 40 years, and the county should accept dedication of the roadway and be responsible for its maintenance. Require paving or allow granular surface in rural subdivisions?